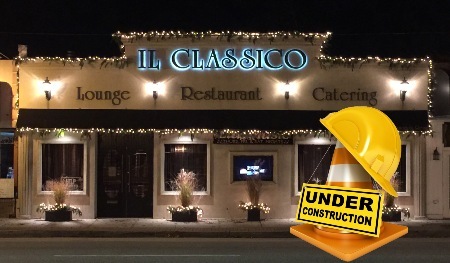 We will be closing for extensive renovations starting January 11th that will last several months. In preparation of the shut down, we'll be "preparing" all of your favorite dishes and any special requests, too. Don't miss out on the chance to enjoy a final meal with us before we go dark. When you enter IL Classico you'll be greated by our wonderful hosts' who will start off your perfect evening. 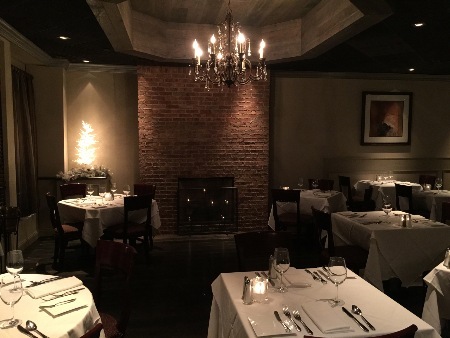 Our romantic, calming atmosphere will relax you as you sip one of our fine wines. 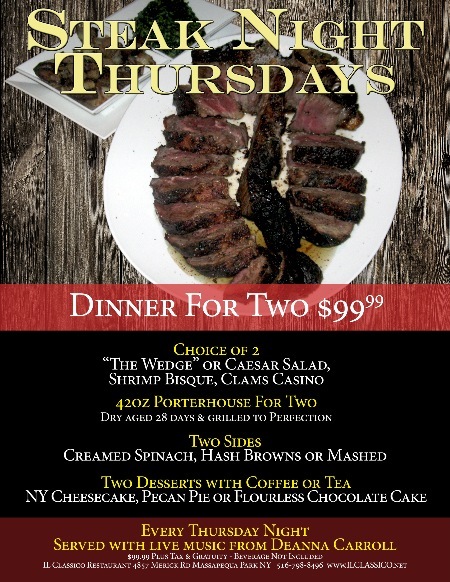 Whether on a romantic date, out with the family or a night with your friends, IL Classico is the perfect place for you to unwind and enjoy a wonderful meal. If there's anything you need, just ask anyone on our staff, we're all here to make your night a memorable one. One of the principal ingredients in fine cooking is time. 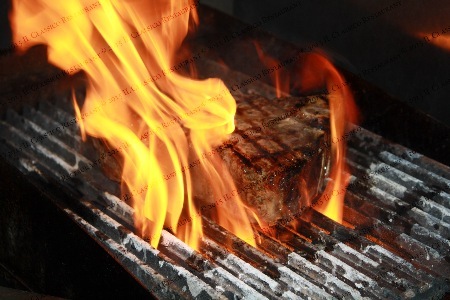 Every dish at IL Classico is cooked to order, using only the finest ingredients. From the Pan Seared Veal Scaloppini to the Capellini con Frutto di Mare, we make sure every meal is prepared to perfection. We invite you to enjoy a cocktail, try our delicious appetizers or one of our fine wines while we prepare your dinner in the IL Classico tradition. Let us make your next occasion one to remember. 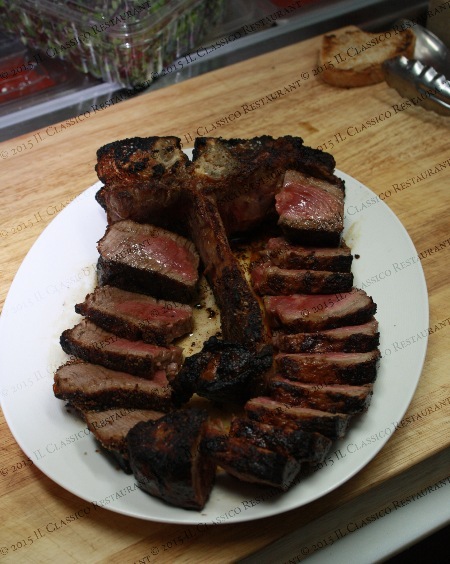 IL Classico caters engagement parties, weddings, rehearsal dinners, showers, anniversaries, birthdays, communions, graduations corporate functions or any other special occasion. Day or evening affairs, with on or off premises catering. 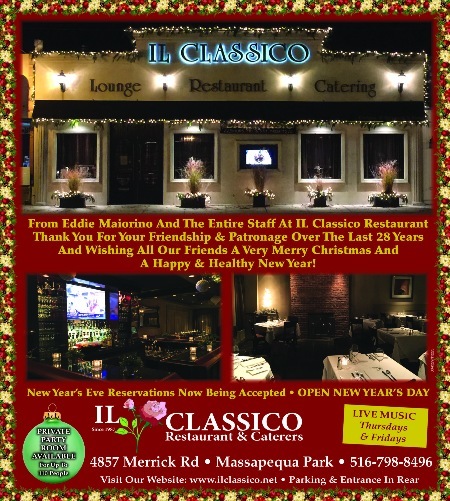 We also offer the perfect gift; a gift certificate from IL Classico. So the next time you need to get that special someone a gift they will love, we'll have it ready for you.